Hi Altenew fans! I hope you are having a lovely day. 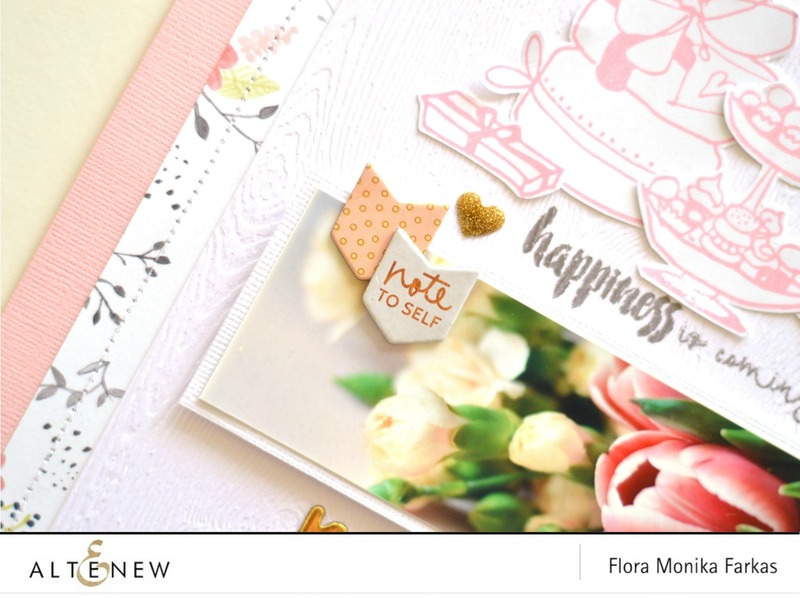 Today I will show you a pretty layout made with the new Celebrations Stamp Set. For long time I wanted to document this photo of a bouquet of tulips. I bought them for my Mom for Mother’s Day, but I couldn’t give it to her as we were very far away from each other. Because of this, I took few nice photos of it and send them to her. I kept the flowers for myself. After this short story you know, this photo is something special for me. What is more, it also remands me of gifts and surprises. I love them! I thought, the Celebrations Stamp Set would perfectly fit to my theme. First I made the base of my page from a pink cardstock, a patterned paper and Woodgrain White sheet. I also added extra texture with machine stitching. Then I made my die cuts. I stamped the Celebrations shapes on a plain white cardstock with Cotton Candy Crisp Dye Ink and then I fussy cut them. I used the “happiness is coming your way” sentiment from the same stamp set, but this time I used Moon Rock Crisp Dye Ink. When I placed everything I adhered cute bits and pieces and the layout was done. 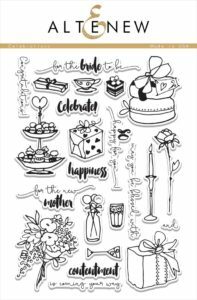 I hope I could inspire you to use or purchase the lovely Celebrations Stamp Set. It is worth to have it as you can use them for many themes (for example: birthday, baby shower, anniversary party etc.). What a beautiful layout. The tulips look absolutely gorgeous, and I love that pretty pink Celebrations stamping. Very inspiring, thank you! Definitely beautiful and a great way to cherish a fond memory of the tulips you bought your mother! 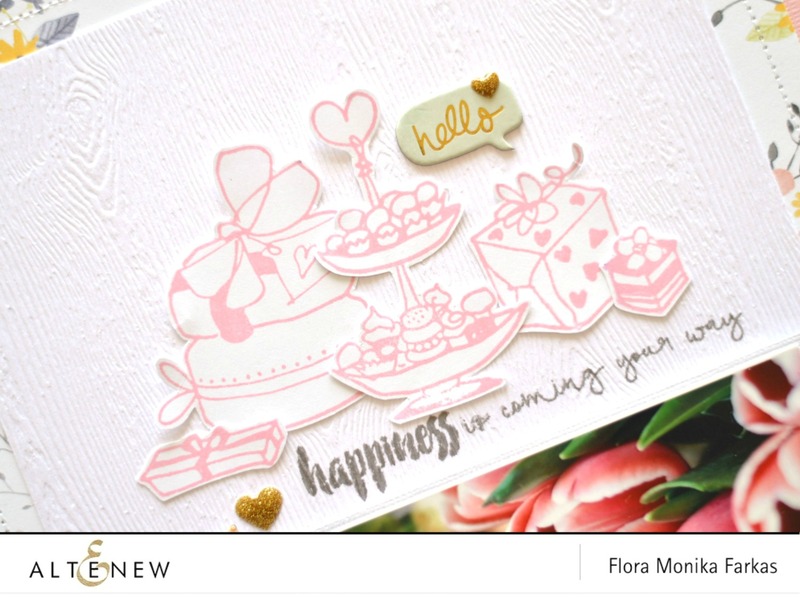 Such a lovely layout with that sweet stamp set!